With every blog post or update I write, I try to illustrate why today is decisive in the negotiations for the copyright reform. The legislative process may seem neverending and repetitive – indeed, the same criticisms of articles 11 and 13 hold today, as they did a year ago – but fact is that we are nearing the end. Every meeting is more decisive than the last. Tonight the European Parliament and Council negotiators enter the third intransparent, closed-door trilogue meeting. On the draft agenda today you will find some of the most controversial articles, including article 11 on the link tax and article 13 on upload filters. A few weeks ago we laid out where individual member state governments stand on these issues. As they are represented in the negotiations by the Austrian Council Presidency, we will see tonight whether they have softened or hardened their approach. For now, you can find the new compromise proposals from the European Commission here. A good indicator of how far the talks have come are the four-column-documents, in which the original Commission proposal, the European Parliament’s and the Council’s suggestions are put side by side. The fourth column is filled when a compromise solution has been found. As you can see, the compromise column is still largely empty for both the recitals and the articles. Time is running out, if the file is to be completed this legislative period, negotiations must come to an end. Just as legislators are scrambling to come to conclusions, lobby efforts have picked up yet again. Whether in form of free concerts or fancy dinners, big content has followed the negotiators to Strasbourg and back, and has snuck into their favourite publications. For example, both YouTube CEO Susan Wojcicki and music industry representatives have written competing op-eds for the Financial Times, but neither of them have the public interest at heart. Today, I explain in the Financial Times why they are both wrong and how we can protect the internet from automatic upload filters. Article 13 is supposed to lead to additional revenues for authors, but none of its supporters can convincingly explain how this is supposed to happen. The threat to fundamental rights, meanwhile, is obvious. I argue that provisions which creators would actually benefit from, such as on unfair contract terms, are not receiving the attention they deserve and are in danger of being dropped in trilogue. The corporate tug of war distracts from such viable solutions. On the positive side, the danger that existing education exceptions might have to be limited as a consequence of the copyright reform appears to have been averted: Article 17a now contains wording that would make it clear that whatever is allowed for education purposes today could stay legal. There is also a chance that negotiators will finally agree tonight that the copyright exception for text & data mining should benefit not just universities, but also data journalists, startups and other commercial actors. Making this commercial text & data mining exception (Article 3a) mandatory for all EU countries is a prominent point on tonight’s trilogue agenda. 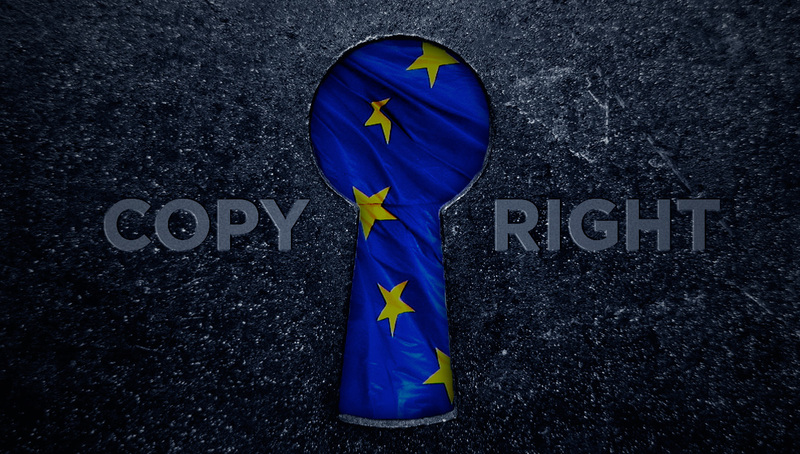 Some national governments still oppose this change, but perhaps it’s dawning on them that they would be sabotaging their ambitions to support AI development in Europe if companies can only use such technologies with the express permission of thousands of copyright holders. So as the end of negotiations is near, contact your representatives, lobby your governments in Council and demand that they remove language which threatens our freedoms online, in favour of provisions which would actually benefit creators – the objective all negotiating parties can agree on. I am doing a law school seminar paper by studying the effects of article 13 from the perspective of freedom of speech.